Real estate salespeople help their clients buy and sell properties everyday and have the experience to handle all of the steps and issues that arise in a transaction. Every transaction is unique and complicated. 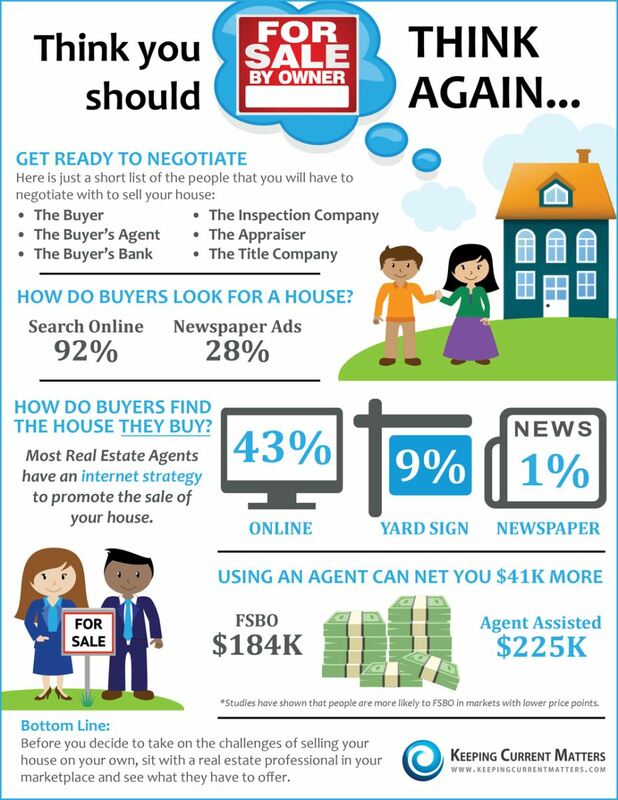 Here is an infographic about the challenges of selling your home without a real estate salesperson.